Dr. Weinberg is a Developmental Optometrist in Louisville providing complete vision care services for the entire family. As a certified licensed optometrist, he provides examinations, diagnoses, and treatments of all disorders and diseases that affect the eyes and vision. In addition to training in eye diseases and disorders, Dr. Weinberg is also trained in developmental or functional optometry. After receiving his Doctorate of Optometry degree in 1984, from the Southern College of Optometry in Memphis, Tennessee, he received his Fellow from the College of Optometrists in Vision Development in 1992. With this Fellowship, Dr. Weinberg is able to treat a wide range of visual issues including amblyopia, strabismus, learning-related vision problems, as well as vision problems effecting the special needs population, including those on the Autistic Spectrum. Dr. Weinberg also provides Neuro-Optometric Rehabilitative Services for those with various vision problems resulting from Acquired Brain Injuries from stroke or accidents. In addition, he is trained to recognize and treat a wide range of health issues that affect the eyes such as glaucoma, macular degeneration, diabetes and hypertension. As an active member of the optometric community, Dr. Weinberg has served as Secretary Treasurer of the Kentucky Optometric Association, President of the Louisville Optometric Association, President of the Kentucky Optometric Foundation and has been a member of the State Board of the Kentucky Optometric Association. He is affiliated with the American Optometric Association, College of Optometrists in Vision Development, the Optometric Extension Program, and the Neuro-Optometric Rehabilitation Association. It is because of Dr. Weinberg’s dedication to continuing education that our Louisville patients receive the most modern and progressive vision care available. Dr. Weinberg stays current on the latest advances in eye health and vision rehabilitation and regularly attends continuing education seminars and advanced training courses. We are proud to announce the addition of Dr. Zach Weinberg to our team at Advanced Vision of Louisville. Zach is the son of Dr. Daniel and Sally Weinberg. Dr. Zach Weinberg attended Ohio University where he graduated with a Bachelor of Arts in Psychology and a minor in Fine Arts. After discovering a passion for optometry, Dr. Zach Weinberg attended Indiana University Southeast prior to entering Optometry School. Subsequently he attended the Southern College of Optometry where he obtained his Doctor of Optometry degree. Dr. Zach was awarded the Dr. Robert L. Henry Clinical Performance and Outstanding Clinician award as well as the Excellence in Vision Therapy award, the latter is awarded by the College of Optometrists in Vision Development (COVD). During his fourth year rotation, Dr. Zach had the honor of working at Bennett and Bloom Eye Centers where he learned state-of-the-art ocular disease management. During his second rotation at Southern College of Optometry he was able to work in clinics specializing in pediatrics, ocular disease and contact lenses. Dr. Zach was able to spend time in Phoenix, Arizona at a practice dedicated to developmental vision and vision therapy. Here he was immersed in the world of developmental and behavioral optometry which are now the underpinnings of his optometric career. Dr. Zach’s optometric interests include Vision Therapy and Rehabilitation, Myopia Control, Dry Eye Syndrome and Ocular Disease. He is currently a member of the Kentucky Optometric Association as well as the American Optometric Association and is also an Associate Member of the College of Optometrists in Vision Development. Dr. Zach recently moved back to Louisville with his wife Allie. They have two dogs Manny and Olaf. They also have two cats Basil and Pudge. They enjoy exploring Louisville and all it has to offer as well as walking their dogs in Cherokee Park. Mark graduated from Indiana University, Bloomington with a BS in Business Management with a concentration in Finance. He also graduated from Indiana University School of Law at IUPUI. Mark left the practice of law after 11 years and entered the mortgage industry for the next 4 years as a bank manager. 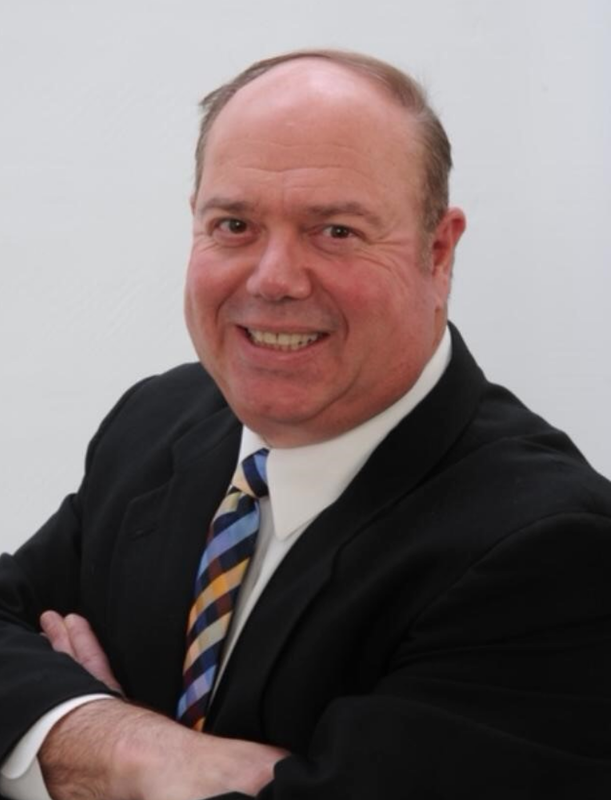 Mark began with Advanced Vision of Louisville in 2007 in the billing department and quickly rose to his current position as Business Manager. Mark is married and has 4 children from age 6 to 18. Mark is a diehard University of Louisville fan. Bio and pictures coming soon! Elaine has worked at Advanced Vision of Louisville since 1995. She is a Certified Optometric Vision Therapist (COVT) and enjoys working with traumatic brain injury (TBI) patients and children of all ages to enhance their visual and perceptual skills. Prior to working for Dr. Weinberg, she had worked in elementary education in Michigan, West Virginia and Kentucky for twenty years. Elaine has a B.S. in Sociology from Eastern Michigan University and graduate hours in elementary education. Monica has been with Advanced Vision of Louisville as a Vision Therapist since 2009. She graduated with a Bachelor’s Degree in Elementary Education from New Mexico State University. 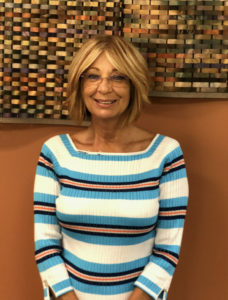 Monica has now found her true passion in Vision Therapy here at Advanced Vision of Louisville and we are delighted to have her as part of our team. Laura Johnson is a Louisville native. She earned her BS in Elementary Education, from the University of Louisville. She also has her Masters Degree in Elementary Education. Laura taught Kindergarten & First Grade for 28 year for the Jefferson County Public Schools. After retiring from teaching, she began working at Advanced Vision of Louisville as a Vision Therapist. In this capacity, she can continue her love of working with children, as well as adults. Most importantly, she loves seeing the changes in them and their confidence, as they are able to improve their reading and begin to do sports related activities, as well as get back to being able to do the things they use to do.